Technologies that support machine learning and other types of artificial intelligence applications are evolving and gaining more and more users, but many businesses have only just begun to scratch the surface of possible machine learning use cases. Especially when working with big data, machine learning and artificial intelligence (AI) tools can help analytics teams uncover valuable information that holds the key to unlocking new business benefits for companies in a variety of markets. 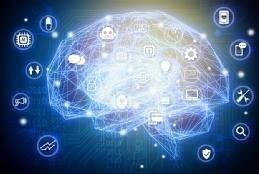 For example, BT Group Plc is looking to use AI software running against a Hadoop data lake to better target ads and special offers to users of its mobile network and TV services in real time, via automated decision-making. "We want to try to be better at promoting things to customers," said Jason Perkins, head of business insight and analytics architecture at London-based BT. Beyond personalized marketing, other common machine learning use cases include network security threat detection and predictive equipment maintenance efforts fueled by data collected via the internet of things (IoT). In a more offbeat vein, recent projects have involved the use of AI in creative endeavors, including songwriting and fashion design -- initiatives that highlight the flexibility and overall processing power of machine learning technology. That versatility creates an abundance of opportunities to adopt the technology in diverse types of organizations. Although not every AI project is successful, finding those opportunities for machine learning implementations that go as planned can be a transformational experience for companies from a business standpoint. To catalog some of the ways that companies are utilizing machine learning, we asked attendees at Spark Summit East 2017 in Boston and the TDWI Leadership Summit in Las Vegas about the primary role they see for it, and for AI in general, in their organizations. Their answers, presented verbatim below, demonstrate the varied machine learning use cases that companies are increasingly embracing. Alfred Essa, vice president of research and data science at publisher McGraw-Hill Education: "Think where you have a digital textbook, and we're understanding how you're reading it and providing you with feedback. Instead of you highlighting the text, we highlight things you need to pay attention to." Saket Mengle, senior principal data scientist at marketing analytics services provider DataXu: "People that manage advertising campaigns have many choices to sort through. We can show them how artificial intelligence can allocate their budgets in a more mathematical way." Anu Miller, senior data scientist at networking technology vendor Cisco: "We see a lot of use cases from the IoT and customer care standpoint. Over time, we project that there will be a bigger need for [such capabilities], so we're trying to get ahead of the curve." Ben Okudolo, director of IT at Canadian government agency Export Development Canada: "We still have a few fish to fry before we get to that point. We're just at the beginning stages of building out our big data platform." Korin Reid, senior data scientist at medical software and services vendor Change Healthcare: "There's a lot in terms of reducing revenue cycle uncertainty that we can do, and a lot of opportunity in terms of population health. With the large data assets that we have, sort of the sky is the limit." Senior executive editor Craig Stedman and senior news writer Jack Vaughan also contributed to this report. What are your ideas for new machine learning use cases to help your organization?